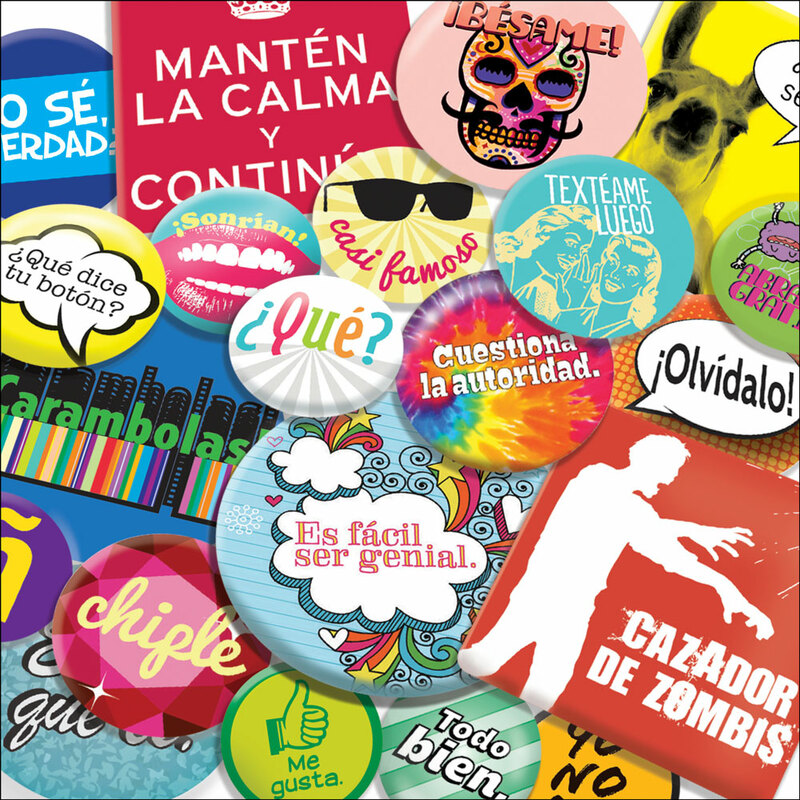 Buttons Advertise Your Spanish Class! 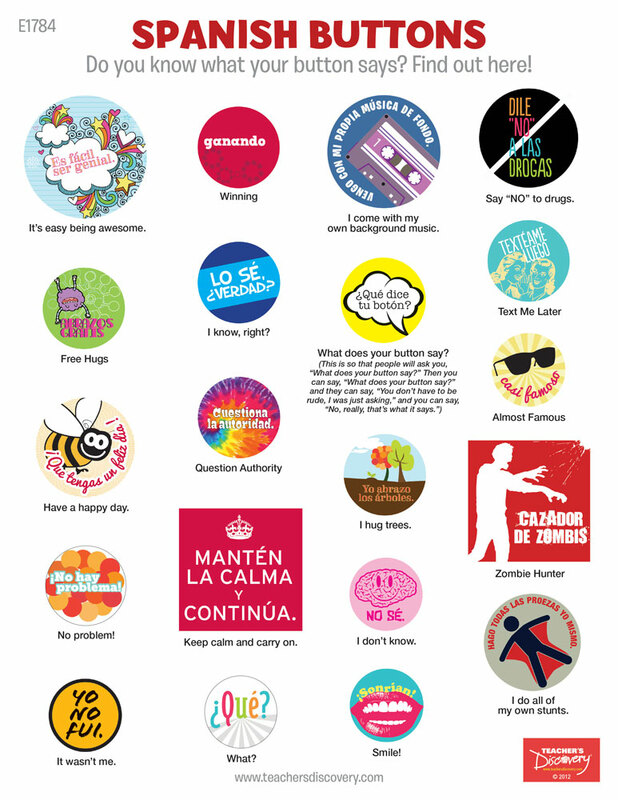 Spanish buttons include plenty of the "mini" sizes kids love, fresh art and fun new phrases like "I do all of my own stunts" and "Is there an app for that?" 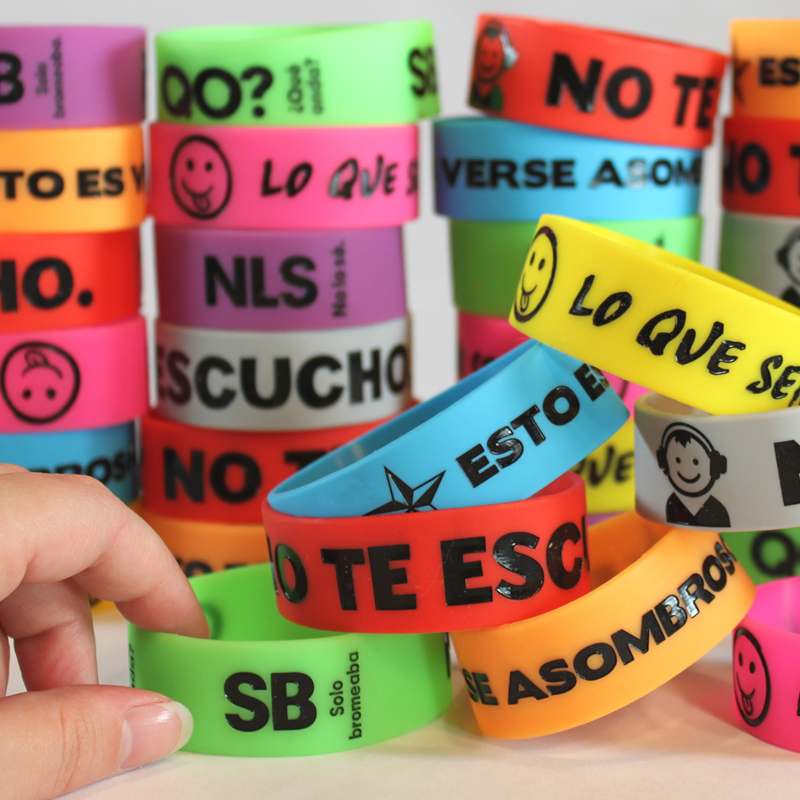 Give these to your students and get the word out that Spanish is cool! 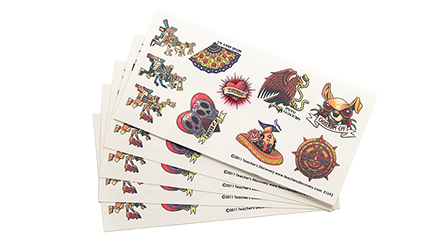 40 different styles, ranging in size from 1 ¼" to 3" across. Translation sheet included. 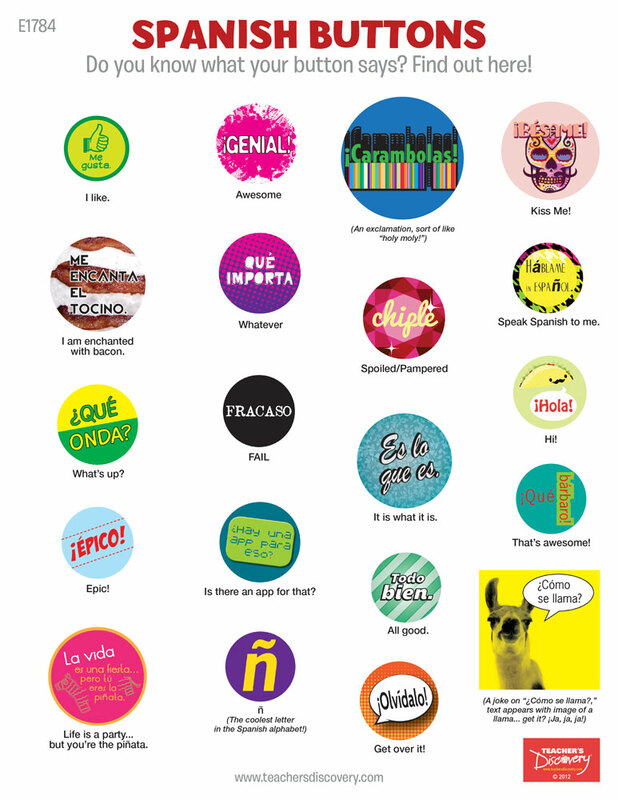 Wear Spanish on your Button! 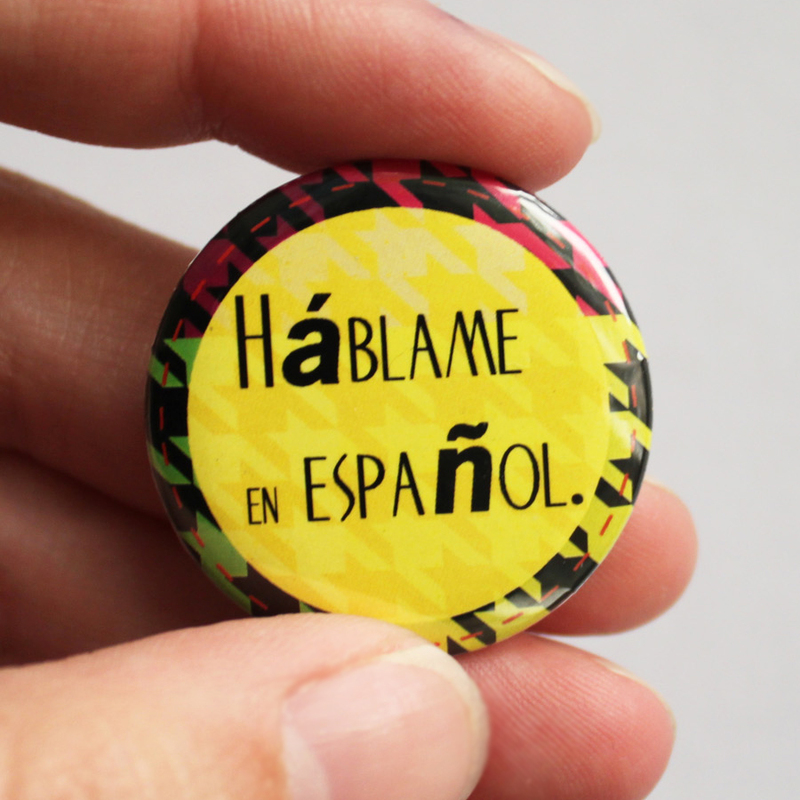 My students love to pick out a button for their prize and I love that they learn some funny Spanish sayings! Quality buttons, fun sayings. Overall success. These buttons are so funny! They've got that quirky Teacher's Discovery style of humor. 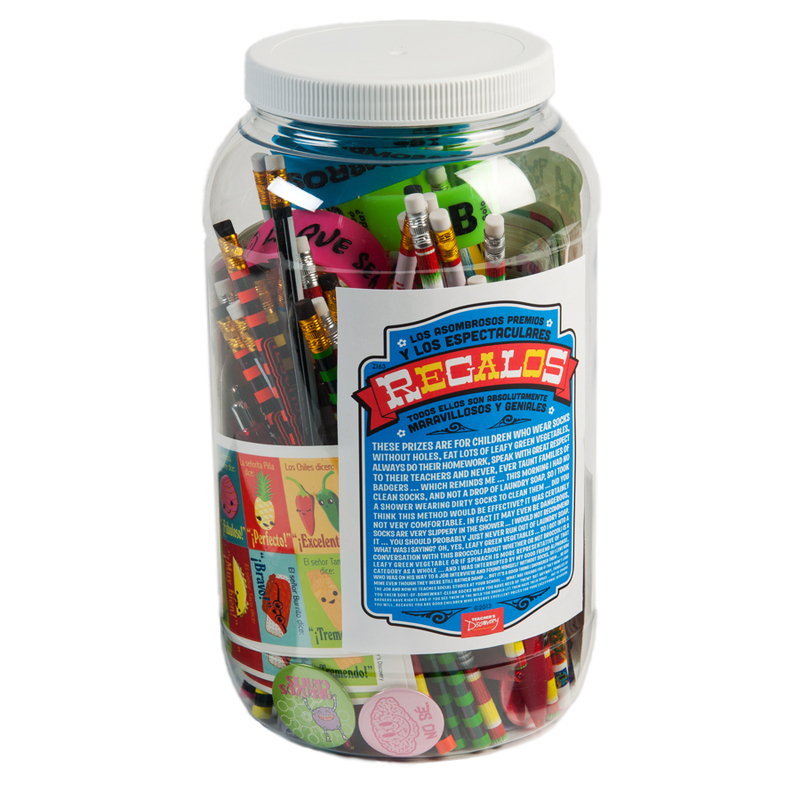 I was planning to put these in my prize bucket, but because of a funny moment in class, changed my mind. This started when a student sneezed so hard in class that he banged his forehead on his desk! We all laughed so hard (he did too, and yes, he was fine!). The next day I awarded him the "Hago todas las proezas yo mismo" button ("I do all my own stunts"). The class (and student) died laughing. Now, I keep these set aside for to recognize funny moments and accomplishments in class. You'd be surprised how many situations they fit! I used these as prizes for games and my students really liked them.